It happened. The day you’ve been dreading in your business. It’s here. Say it with me: ugh. You heard the rumors. The horror stories. Those who paved the way said it happened to them and it would happen to you, too. You listened to the podcasts and read the books and went to power lunches and conferences and seminars and, yep, they’d all been there. And now “there” is where you and your business are. The dreaded rut. Business has been going well. It’s not about that, really. It’s more about you. You’re feeling uninspired. Overwhelmed. Tired. You’ve been burning the candle at both ends and you’ve been putting everything into your new life as an entrepreneur. And while it’s worth it – it is so, so, so worth it – you can’t help but feel… off. Do you know why you’re feeling off? Lean in. I’m going to tell you a secret. One that might be counterintuitive. One that might sound nuts. One that might be just THAT crazy that it’s true. You’re putting everything you have into your new life. You’re not spending enough time on yourself. You see, an odd thing happens when we work too hard. We become tunnel-visioned and single focused… when we can’t see the big picture. And that odd thing is, that the one thing we’re working so hard to protect, is the thing that will be adversely impacted. Working 18 hour days, seven days a week isn’t sustainable. Losing touch with your friends and family isn’t sustainable. Not having had a date night in months is not sustainable. Never taking time for yoga or a pedicure or a massage or, even a well-deserved nap on a Saturday afternoon is not sustainable. Being in a rut is so defeating. It makes you feel worthless. It makes you feel scared. 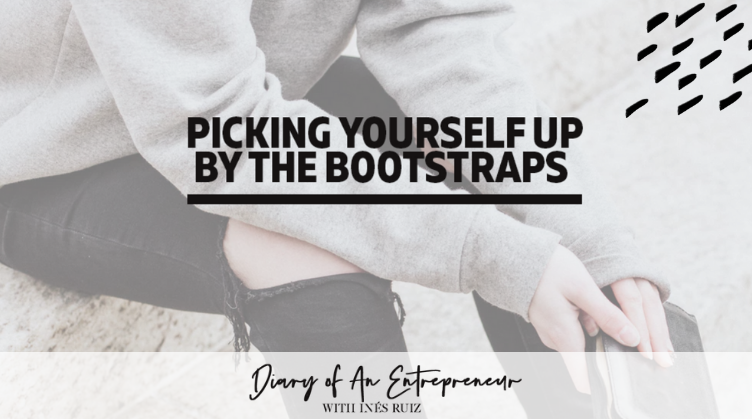 It makes you doubt yourself… and that — doubting yourself — is a scary path to go down when you are your own boss and when you are the one charge of your own destiny. So stop doubting yourself. Stop allowing yourself to think of your business and your business only. Stop allowing yourself to focus on your business and your business only. Stop allowing yourself to only acknowledge clients and ignore friends and family. Stop allowing yourself to be unhappy, overworked, and tired. Think back to the woman, the powerful boss babe, who first set out to be her own boss. That woman was full of dreams, full of hope, full of hard work and determination and a willingness to do anything to get the job done. Unfortunately, that woman has allowed some of those amazing characteristics to fall to the wayside. Think about it: are you still full of hope? Full of determination? Full of dreams? If the answer to any of these is no, then it’s time to take a step back. Embrace the basics. Channel yourself back to that woman you were when you first began. That woman had outside commitments, friends, family, another job… a life. She had a life. Even still, that same woman managed to create a NEW life. There is such a thing as a work/life balance. And in order for your business to do well, you have to embrace it. You have to turn off and unplug every now and again. You have to go on a long run or take a hot shower and take a cozy nap. You have to experience date nights and friend nights again. You have to get back to yourself. You’re all you’ve got… and you’re perfect. Don’t let your business take your shine.